History Tour + Happy Hour = One 'Famously Hot' Combination! History Tour + Happy Hour = One &apos;Famously Hot&apos; Combination! 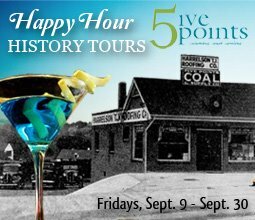 Historic Columbia Foundation invites you to learn about Columbia&apos;s first planned suburban neighborhood, now known as Five Points, during a Happy Hour History Tour in September. These guided tours will meet at the fountain in Five Points at 5:30 p.m. on Friday evenings, September 9 &apos; 30, 2011. 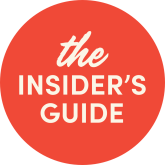 Tours will last approximately two hours and include two drinks and appetizers. Five Points began as a trolley hub and has evolved into the shopping, dining, and entertainment district that it is today, surrounded by 5 historic neighborhoods. The cost for these Happy Hour History Tours is $20 for Historic Columbia Foundation members and $25 for non-members (prices include two drinks and appetizers). Reservations are required and can be made by emailing reservations@historiccolumbia.org or by calling 803.252.1770 ext. 24. More information about the tours can be found by visiting historiccolumbia.org. Former Five Points Theatre (now known as Red Hot Tomatoes): The bright marquee at Red Hot Tomatoes is no accident &apos; the building was designed as a movie theater in 1939. After the theater shut its doors in the early &apos;60s, The Stage Door bar continued drawing in customers looking for a taste of glamour. Claussens Bakery: The Inn at Claussen&apos;s pays tribute to its legacy as a renowned bakery with its daily treats for guests. Built in 1928 by the grandson of a German immigrant, Claussen&apos;s Bakery served as an anchor business just as Five Points became an urban village. Gibson&apos;s Economy Drug Store (now known as Yesterday&apos;s restaurant): Known today for its rather public bathtub, Yesterday&apos;s Restaurant and Tavern was built as one of the first businesses in Five Points &apos; Gibson&apos;s Economy Drug Store. A watch repair shop and other restaurants shared space in the &apos;flatiron&apos; until 1976, when Yesterday&apos;s opened its doors. Harrelson &apos;T.J.&apos; Roofing Company / 5 Points Coal & Supply Co. (now known as the Salty Nut): The Salty Nut CafÃ© originally featured a more mundane assortment of coal, paint, and roofing materials. As the 1940s home of Harrelson &apos;T.J.&apos; Roofing Company and 5 Points Coal & Supply Co., the Nut&apos;s eclectic >historiccolumbia.org. You may also find us on Facebook at facebook.com/historiccolumbia, on Twitter at twitter.com/histcolumbia and on YouTube at youtube.com/discoverhistory.